IBAKWE is an association made up of people trained at the Institute of Integral Human Formation of Montreal (IFHIM), in Canada. In the Kinyarwandan language, IBAKWE means courage, audacity and quickness. Working with Ibakwe means working with will and enthusiasm for a common goal: to train “peace-bridge builders”. The word Ibakwe also evokes the image of an eagle flying above its’ young to awaken them and show them how to fly. The spirit that drives Ibakwe’s members is their desire to become women and men motivated by universal love, capable of acquiring more inner freedom in order to teach others how to become peace-bridge builders in their own environment. After the drama of the Rwandan genocide in 1994, the necessity to help people get back on their feet and build peace became extremely urgent. Cries for help came from all around. Almost 20 years ago, people from both ethnic backgrounds were trained to become peace-bridge builders in the very midst of their differences. This training is open to everyone: believers and non-believers, rich and poor, black and white, educated and illiterate, youth and adults, women and men. Across the country, in nearly 1000 sessions have been offered since 1998, and children, youth and adults have received training to make them “Peace First-aid Workers” or Peace-Bridge Builders”. 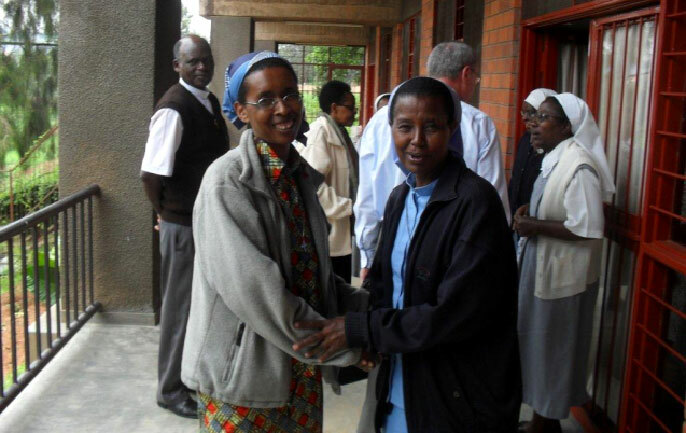 Among them are mental health workers, doctors without borders, peasants, farmers and breeders, officials from Caritas Rwanda, genocide widows, and wives of prisoners. 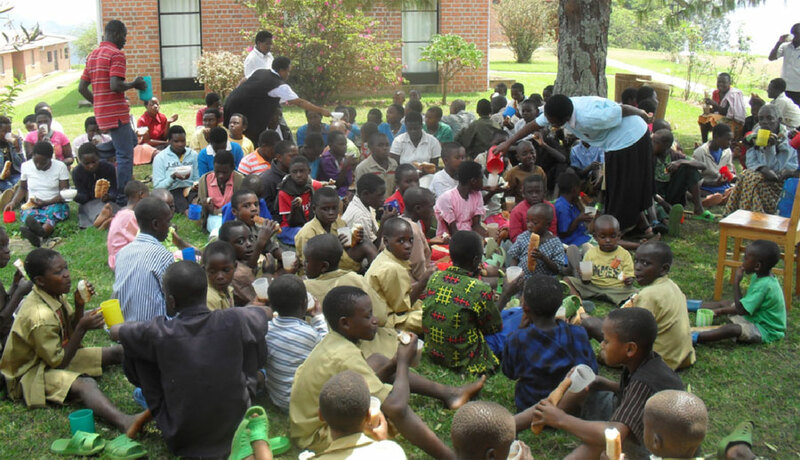 One member of the IBAKWE group founded an orphanage and another member took in about thirty children whose parents were killed in the genocide. The group has also worked with officials from Gacaca courts (village justice systems) and continues to work with health centers, primary and secondary schools, universities, parishes, families, refugee camps and religious training homes. The group reaches students while at school or on vacation as well as youth associations. More than 1000 people are trained every year in sessions or through personal follow-up. Thanks to the training they’ve acquired, these people have found peace in their hearts again, and have become supporters in their communities. During the training sessions participants learn to see the reality of their world, their country, their region and their family. They also take a good look at their daily lives to discover how each person already seeks to build peace bridges. By becoming more conscious, participants learn to destroy the walls that separate them from others, and using their vital human strengths, they learn to see others as people too. To fully experience this, participants are called to head out, two by two, on expeditions into the hills, in order to meet strangers and build bridges of peace with those they meet. To become a peace builder they must learn how to manage stress and balance their physical and psychic energies. Participants are taught how to listen to their bodies and to be mindful that the hostility they may feel does not paralyze their vitality. They learn from the inside-out how to live from a place of universal love that recognizes others as people in spite of their differences. 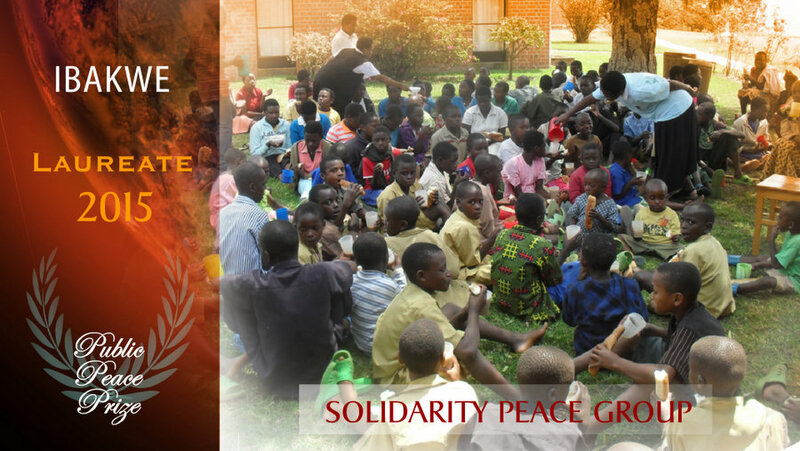 Members of the Ibakwe group started out as resource people during three sessions offered by the IFHIM from 2012 to 2014 to couples from Byumba to help them become “peace families”. Following these sessions, the couples began to make changes in their lives as well as in the way they treated their children. 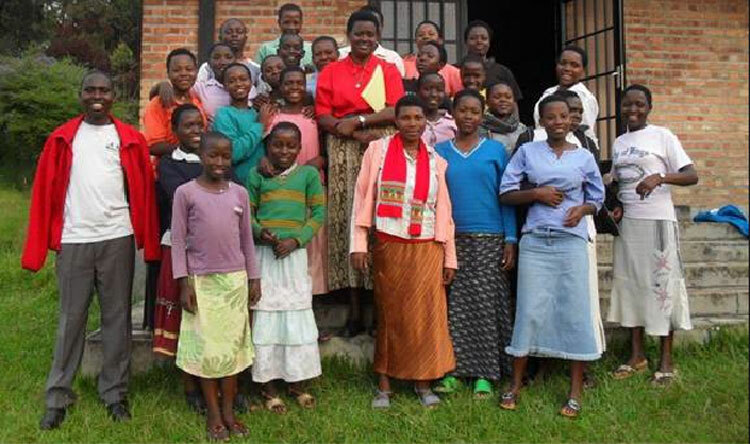 Wanting to share what they’d learned, they helped other couples in their neighbourhood in Rwanda, and even in Uganda so that their families could also become peace families. This experience in Byumba inspired members of the Ibakwe group to reach out to other regions of Rwanda. Other couples were contacted in Kabgayi, Mbazi, Huye, Busoro, Cyangugu, Nyamata, Ngoma, Rusumo, Remera. The path they shared truly allowed them to train other “peace couples” which lead to “peace families”. Here is a story from Byumba, North of Kigali, where the Little Peace Bridge Builders  experience was initiated: “These young people do not limit themselves to staying disciplined in class and achieving the best results possible at school while enjoying the privilege of this training. They are also open to those around them, to others. They formed a community of peace builders to clean the church. They visited the sick at the hospital, prisoners, and Peace Bridge Builders in other communities. They started a football team. They taught others to appreciate writing, especially person writing that talks about life experiences. In other words, they radiate in their community and have succeeded in transforming their own families who now consider them to be people, and even collaborators because of their commitment. – couples, sick people in hospitals, sick with AIDS, elderly people, health workers and caregivers, nuns and priests. It’s within the context of the period following the genocide that the IBAKWE-Rwanda group came into being in 1998. The peace workers multiplied rapidly because the community leaders invited and continue to invite a large number of people to be trained in Montreal so that they can return to Rwanda and help others get back on their feet using their vital human strengths. 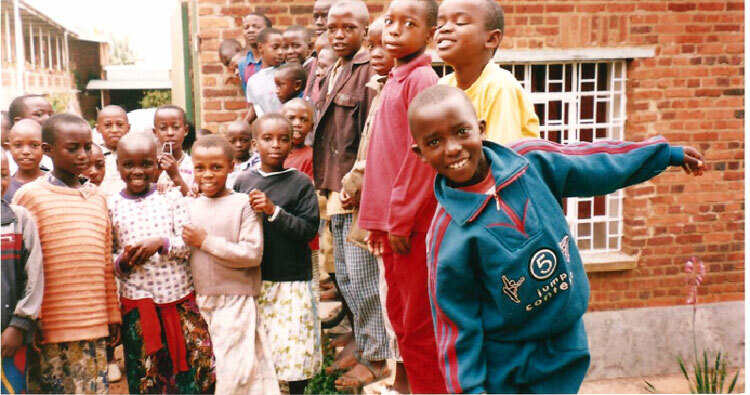 The people trained had already organized a working group in Rwanda since 1996. They met to support and help each other and stayed in constant contact the IFHIM in Montreal. Due to the growing number of people, it became necessary to organize a framework of regular contributions. Twenty-five people trained at the Institute, now working in the field with the Rwandan people, decided to form the Ibakwe association. They continue to be followed and supported by professionals at the IFHIM. In 2007, an internal evaluation revealed the pertinence and the amplitude of the actions of the Ibakwe group in the field. It allowed orienting their work towards the needs identified by a recent study of Rwandan society. I like the work this group encourages!! Grass roots.